Black market traders are far from a new phenomenon. For years, they’ve sold products and services that haven’t been regulated properly, that may be stolen, or that may infringe on copyrights. They’re not just a huge problem for legally trading businesses, but also for the regulators and governments trying to combat them. Within the past few years, a smartphone black market has emerged. Here, dodgy traders are illegally importing and selling stolen and unregulated handsets all over the world. Amidst a growing smartphone market, Latin America in particular, has become a hotspot for illegal smartphone sales. One of the drivers of this activity is the rise of import tariffs in countries such as Argentina and Brazil. Essentially, some traders aren’t keen to pay hefty taxes to import devices into countries and are instead selling to consumers directly in black market environments. And, similarly, consumers aren’t willing to hand over huge sums of money for branded handsets. However, regulators in Argentina and Brazil have been quick to counter illegal smartphone sales. Last year, the Argentinian communication watchdog - called the Ente Nacional de Comunicaciones - said it would implement new laws to block illegal smartphone imports. The project, known by many as La Lista Blanca, aims to intercept devices that have been imported mainly from neighboring countries such as Chile and Uruguay. 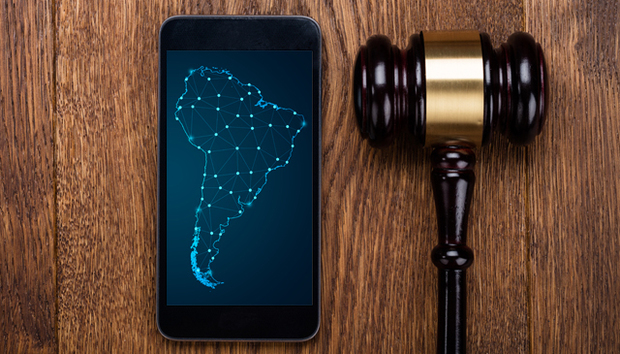 Then, in February, Brazil followed suit when its communications regulator - Anatel - announced a project called Celular Legal”, which will see regulators block devices that haven’t been vetted properly. The question is, what do these changes mean for the region’s smartphone market?